Don't miss this year's DEATH THROES HALLOWEEN ! ! 1919, Bad Juju, F.A.D. 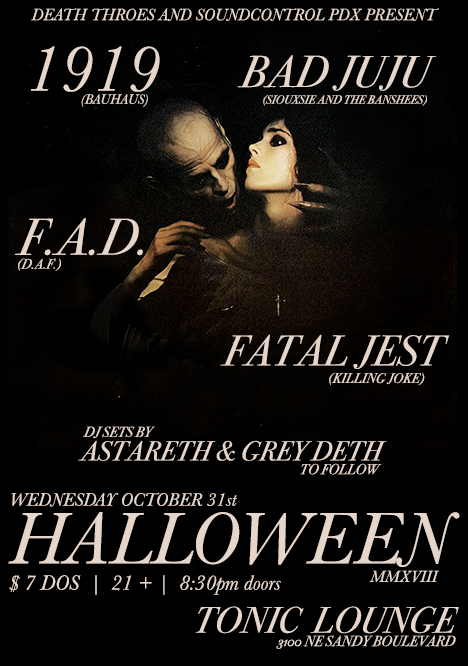 and Fatal Jest with DJs ASTARETH and GREY DETH to folllow! WED 10/13 @Tonic!